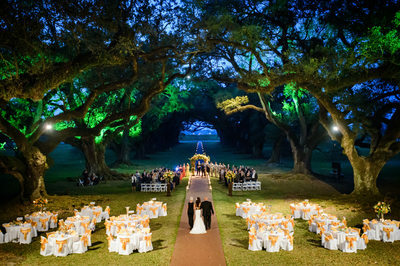 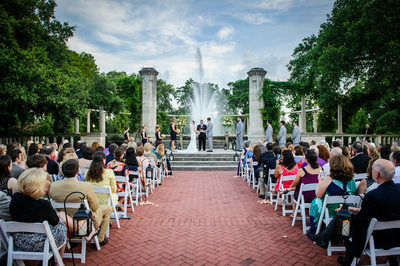 Wedding ceremonies in New Orleans take place at a wide variety of locations. 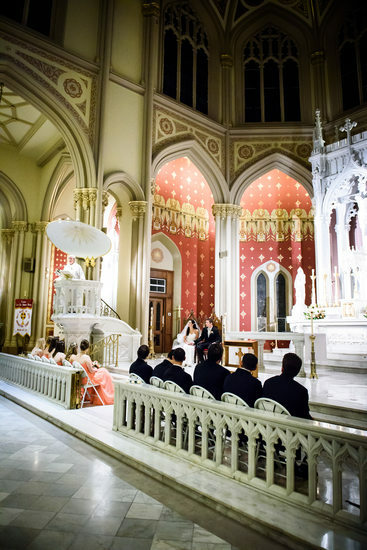 On any given weekend, I could be shooting at centuries-old Catholic church, a quaint French Quarter courtyard, an elegant Garden District mansion, a cozy bed & breakfast, or a glamorous modern event venue. 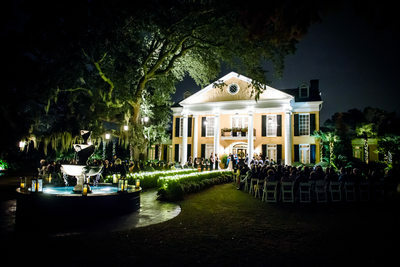 I've even photographed weddings in more unusual places, such as aloft on a hot air balloon, on the deck of the riverboat Natchez, and on a New Orleans streetcar. 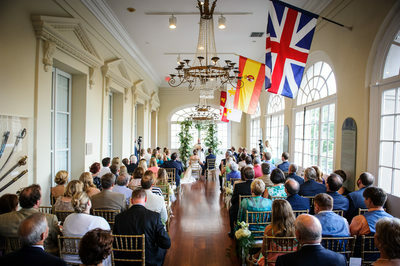 In addition to countless nondenominational civil marriage ceremonies in lushly landscaped French Quarter and Garden District courtyards, elegant hotels, beautiful parks, private homes, country clubs, and other event venues, I've photographed many traditional religious ceremonies, including Catholic, Baptist, Episcopal, Lutheran, Presbyterian, and Jewish, as well as elaborate and intricate Indian/Hindu events. 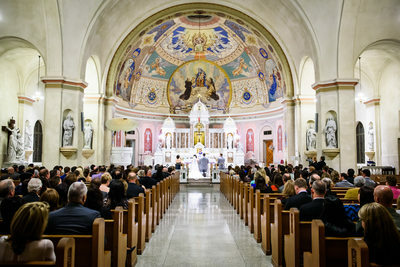 In short, though I've shot at most of the major wedding venues in the city, I have the experience to quickly assess even a new location where I haven't previously worked. 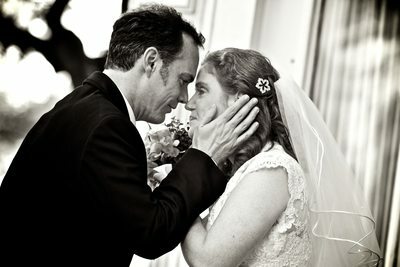 I photograph wedding ceremonies as discretely and unobtrusively as possible, striving for a balance between capturing great images and not distracting from the proceedings. 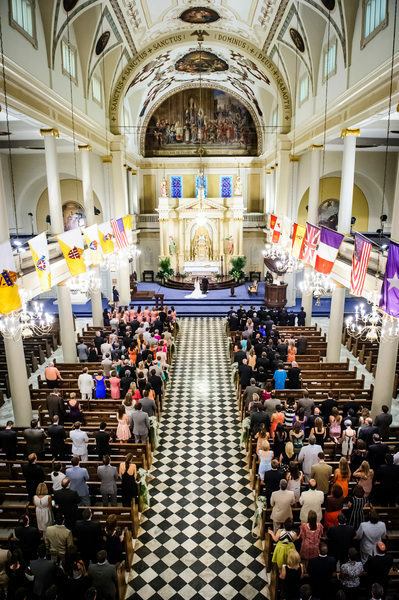 There are some instances where the size and/or layout of the venue means I may have to be a bit more visible than I'd prefer, but I always attempt to minimize my presence to the greatest extent possible.